They're honest, good and know their stuff, the staff is kind and professional. I always have a good experience. They're good dentists and I feel comfortable going to the dentist. He is excellent, both are excellent. I have been with them for years. I think they just seem to know what they are doing. They have an excellent way of maintaining comfort and seem to know when and what to do. I would tell them to go use them and that I have recommended them already. They explain everything they do and do a good job. They don't overcharge. 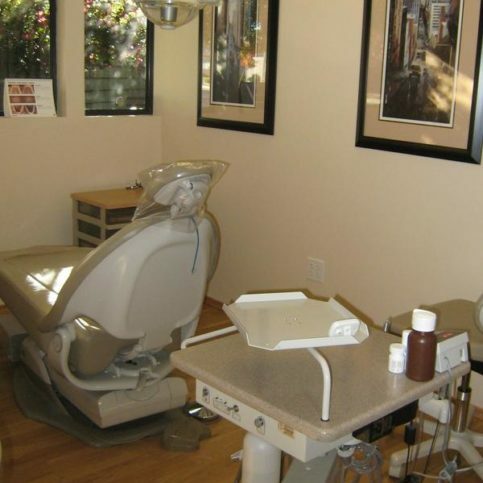 Hammer & Bonin Cosmetic & Family Dentistry provides a complete range of general and cosmetic dental services for all types of patients (including children) at its Santa Rosa facility. 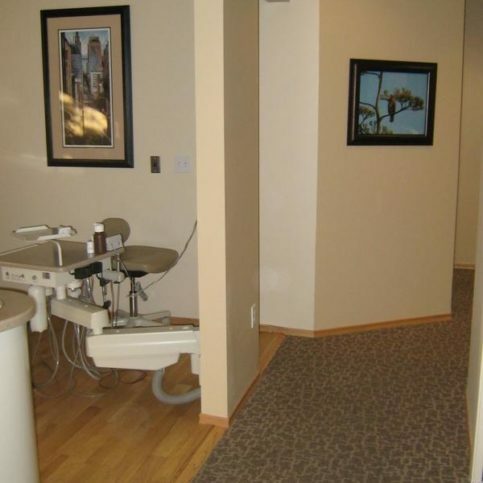 In addition to performing regular checkups and cleanings, the practice has special expertise with implant restorations, veneers, tooth whitening, Invisalign® orthodontics and more. Hammer & Bonin Cosmetic & Family Dentistry accepts most dental insurance plans and offers financing through CareCredit, which is part of the practice’s aim to make dental care available to as many people as possible. 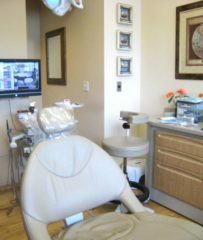 Hammer & Bonin Cosmetic & Family Dentistry has been providing general and cosmetic dental services for all types of patients (including children) at its Santa Rosa facility since 1979. 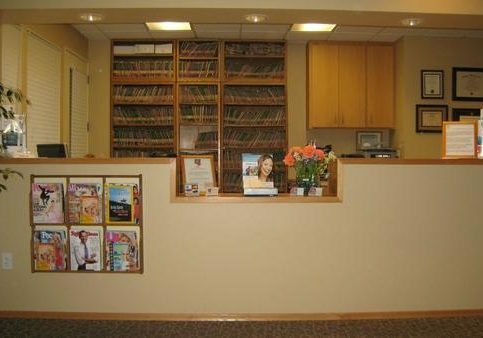 In addition to handling regular checkups and cleanings, the practice has special expertise with implant restorations, tooth whitening, Invisalign orthodontics and more. Swap sodas and juices for water or unsweetened tea. Rinse your mouth with water or brush after eating or drinking sugary substances. Limit between-meal snacks, especially sugary drinks and food. Don’t sip soda, juice or energy drinks all day. Sipping drinks brings a constant stream of sugar into your mouth. If you must drink sugary drinks, finish them in one sitting and rinse your mouth with water afterward. Limit fruit juice, especially for children. Dilute the juice or rinse your mouth with water after drinking. Carry a travel toothbrush so you can brush between meals, at work, or after indulging in sugary foods or drinks. Q: Can you help me with my insurance? A: Yes, we have a lot of experience with the ins and outs of dental insurance. We’ll let you know which policies we accept, and we can even recommend insurance that would work for your specific situation. A: Invisalign works for about 70 percent of people, so once we evaluate your teeth, we’ll be able to tell you if it will work for you. If it’s a complex case, we might refer you to an orthodontist because we want you to get the best possible results. Q: When should I start bringing my child to the dentist? A: We recommend bringing children to the dentist at age three or four, unless you notice something of concern when you’re brushing their teeth at home. Q: What are my options for teeth whitening? A: We have three different options: in-office whitening, at-home whitening and a touch-up system. Once we do the initial consultation, we’ll be able to determine which option will best meet your needs and preferences. 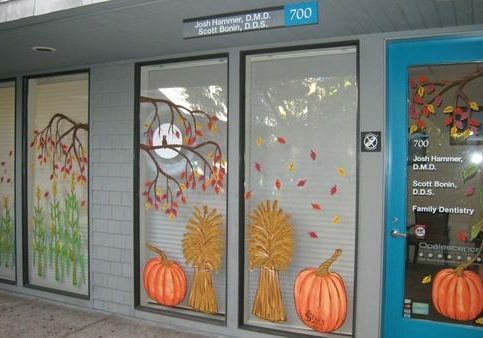 A: You can call us and make an appointment with one of our three schedulers, or you can make an appointment on our website, www.mysantarosadentist.com. A: It depends on the urgency of your needs and your preferred appointment time. Some times are more popular than others, like late afternoon, so those appointments fill up faster. However, if you have a dental emergency, we can usually fit you in within 24 hours of your initial call. Q: Is your office modern? A: Yes. 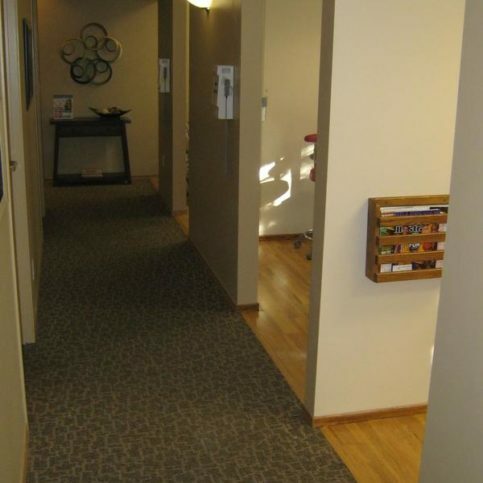 We recently remodeled our facilities, so we have new exam rooms, chairs and equipment. We also use modern methods like computerized records and digital x-rays, which make the visits more interactive. 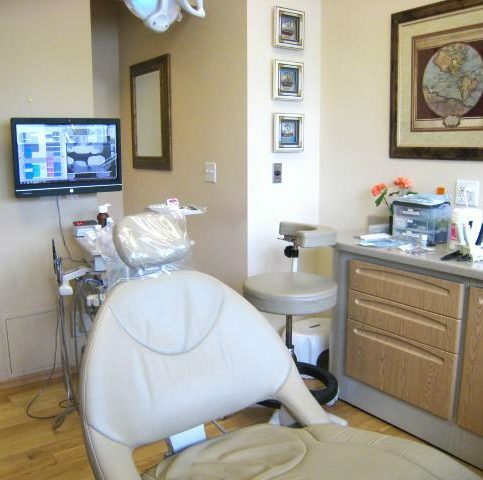 We can really show our patients what’s going on with their teeth and give them advice. Dr. Josh Hammer is a 14-year veteran of the dental industry and owner of Hammer & Bonin Cosmetic & Family Dentistry, a Diamond Certified practice. He can be reached at (707) 200-1350 or by email. A: Italy…for the food, culture and historical sites of interest. A: I have a coin collection. A: MSN.com, just to get an overview of the day’s news. A: Football. I played quarterback and wide receiver. SANTA ROSA – Amid the fast-paced tumult of modern-day life, it’s common for people to become overstressed. This stress can be expressed in a number of conscious and unconscious ways. One frequent example of the latter is clenching and grinding of the teeth during sleep, which can result in tooth and jaw pain, including conditions like TMJ. Due to its unconscious nature, people are often confused when they learn the cause of the symptoms they’re experiencing. Fortunately, there’s a simple tool that can alleviate the effects of nocturnal clenching and grinding: a mouth guard worn in the mouth while sleeping, often referred to as a “night guard.” In addition to protecting the surfaces of your teeth from grinding, the cushion provided by a night guard helps allay some of the jaw strain caused by clenching. Some research even suggests that wearing a night guard reduces the frequency and intensity of grinding sessions. When it comes to purchasing a night guard, a custom-made model procured from your dentist is ideal, as it will conform to your mouth’s unique shape and contours. However, even a generic night guard purchased from a drugstore is better than nothing, so whatever your budget, don’t hesitate to take advantage of this beneficial device. SANTA ROSA — Everyone knows eating too much sugar can negatively affect dental health, but many people lack an awareness of how much sugar they ingest on a regular basis. Maybe that’s because sugar is present in so many items today, including seemingly innocuous ones. Besides obvious culprits like soda and candy, other sugar-rich consumables include energy drinks, breath mints, cough drops and yogurt. And don’t forget chewing gum—although you don’t ingest it, your teeth are still being affected by the sugar it contains. Even if you’re diligent about your daily brushing and flossing routine, excessive sugar intake can make you susceptible to cavities and other dental health issues. For this reason, make sure you’re aware of the sugars you consume on a daily basis and consider scaling back if you find yourself suffering from tooth decay. SANTA ROSA — Host, Sarah Rutan: Even if you’re diligent about brushing and flossing, excessive sugar consumption can still take a toll on your dental health. Today we’re in Santa Rosa with Diamond Certified Expert Contributor Dr. Josh Hammer of Hammer & Bonin Cosmetic & Family Dentistry to learn more. Diamond Certified Expert Contributor, Dr. Josh Hammer: So, I wanted to talk with you today about our daily intake of sugars. Oftentimes, we’re not aware of all the sugars that we’re taking in. And some of those sugars include: chewing gum, soda pop, or energy drinks, candies, mints, cough drops – things that we’re sucking on. Even if we have great habits with brushing and flossing, if we have a high sugar intake, we can be getting cavities – and oftentimes, many cavities. So, being aware of the sugars that are going in makes a big difference with preventing tooth decay. SANTA ROSA – Host, Sarah Rutan: If you have problems with grinding and clenching your teeth while sleeping, it’s time you considering wearing a night guard. Today we’re in Santa Rosa with Diamond Certified Expert Contributor Dr. Josh Hammer of Hammer & Bonin Cosmetic & Family Dentistry to learn more. Diamond Certified Expert Contributor, Dr. Josh Hammer: All right. So, I wanted to talk with you a little bit about the habit of clenching and grinding the teeth, and the benefits of wearing a nightguard. We see a lot of patients in our office who come in with toothaches that are mysterious, unexplainable; popping and clicking in the jaw sometimes; difficulty eating sandwiches; things like that. And what we find is that a lot of people dealing with stress by clenching or grinding their teeth, oftentimes at night; sometimes during the day. And one thing that we have found to work very well for treating TMJ issues is a nightguard. I would say probably 50 percent of the population clenches and grinds their teeth more than they should – and have different, various types of symptoms related to that. So, nightguards can be very helpful. A custom-made nightguard at your dental office is most ideal, but even a nightguard from the drugstore is better than nothing at all. Hammer & Bonin Cosmetic & Family Dentistry : Average 9.2 out of 10 based on 121 unique customer surveys of customer satisfaction. Super friendly, they look at what you want and fulfill your needs. The smile when you walk in, it is a happy environment. They are just reliable and get the job done. I'm pretty fearful when it comes to the dentist and they eased my fear and made me comfortable. Eased my fear and made me comfortable, they made sure I wasn't in pain. They are terrific and care about their patients. They are terrific and care about the quality work that they provide. I definitely have referred them to people. 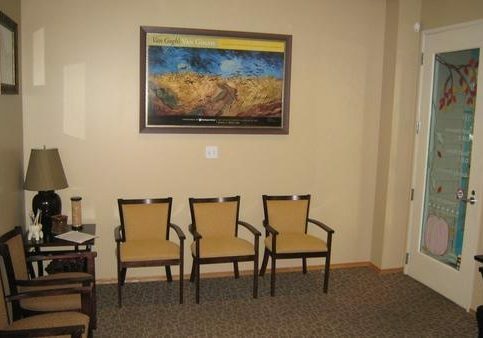 Probably Dr. Hammer and the staff, they are all great and polite and just filled with great personnel. I already said they are great, they provide a good service. They keep appointments on time with no waiting. They don't ask you to do more than what you need to, and they schedule the appointments easily. The appointment was fairly quick and the staff was friendly. The quality is great and they are consistent with it. That I always had excellent service and they are nice people. I have recommended them several times already. They do excellent work. They are friendly and flexible with their schedules. They do 4-star, quality work. I would say that they're very friendly, efficient, and they follow up well. They're very inclusive and seem happy to see you. They fix my problems. Out of all the dentists I've seen, they're doing pretty well. I have been going to them since I was three years old. I would not change for anything. I would even commute 45 minutes. The relationship with the dentist, they make it personable. They make the experience very comfortable, it's a clean environment. They're kid friendly, and they have toys and stickers for the kids. They are very good with my children, and they are consistently friendly. They are good with my children. You feel at home as soon as you walk in. They treat you better than a patient. They make you feel like family. The staff is excellent. I just felt at home. I love the way the staff treated me, as well as Dr. Bonin. I have sent friends and family members there. They are very pleasant. Some people are afraid of dentists. They help you out, and work with you if you are afraid. They take their time, and they are concerned how you are feeling. They try to keep it from being painful.